On Saturday I met a friend- Awel Uwihanganye whose NGO (CEED) is at the centre of organising the Gulu Marathon. 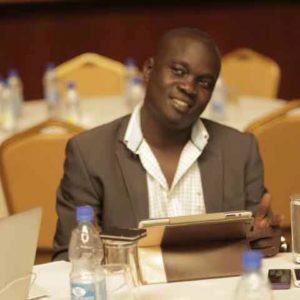 Awel is very passionate about events in northern Uganda and has worked with many nonprofits in the region. After exchanging pleasantries, the first issue that popped up in our conversation was whether I will be attend the upcoming Acholi Cultural Festival slated for between December 14- 16. My response which is my opinion about the festival is that if it were not because of my bar exams at the Law Development Centre, I would attend notwithstanding the mistake of inviting President Museveni (the president has been invited as Chief Guest). The invitation of Museveni to preside over a cultural festival of the Acholi, I think was just over zealousness of the NRM sympathizing members on the Organising committee who want to show their relevance to the President. They simply want to use Acholi as security in the political mortgage market, to use the words of Patrick Loch Otieno Lumumba. Now that is how identity politics works in Africa. Sharp elites hijack cultural processes to posture to show that they have the favour of their tribe/ ethnic group, so as to catch the eye of the demigod of appointments in patrimonial fiefdoms. Without even entering into the “Brilliant Genocide” debates, and the plethora of well researched articles that show how policies and doctrines of the wars prosecuted under the leadership of President Museveni caused the complex emergencies that withered away the social-cultural fabric of the Acholi people. Even a fool then would not miss the point that Museveni is a delicate guest at such a function except if a public apology is intended. But should we throw away the baby with bath water as my senior brother Nicholas Opiyo posits? (Mr Opiyo, a lawyer and human rights activist recently posted on Facebook that he would not attend the event if President Museveni is the Chief Guest). I think we should not throw away the baby. We should instead get more involved and be within proximity where our voice of reason can penetrate. To paraphrase Aristotle, who said that when you shy away from leadership then fools will dictate terms for you. I don’t mean to demean anybody as a fool (Fool here I am sure is used connotatively). The mistake of inviting Museveni can be resolved. Wabilwongo Lujogi ki Nyingi (We shall have to name names so that ultruism returns in this process). 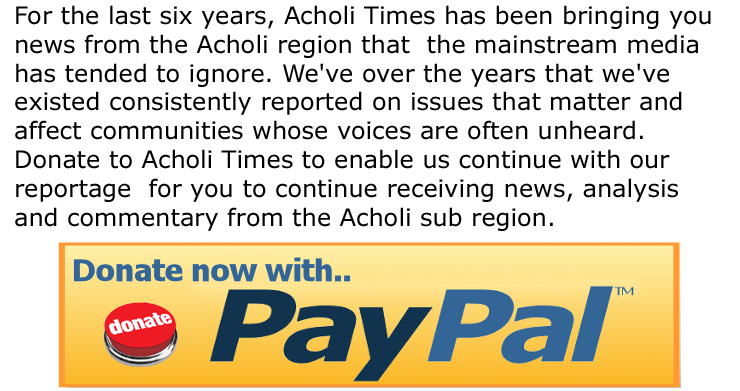 Any forum that mobilizes Acholi people in my opinion is good because Acholi as a tribe is facing difficult times. It is headless compared to historically centralized nations like Buganda. In modern times organisation is important in addressing collective action problems. Furthermore segmentation is a recipe to perpetuate internal disunity through divide and rule schemes to make dealing with these collective action problems elusive. Thus the young generation of Acholi have an uphill task to develop a political sub culture that easily unites the Acholi people. Uphill because anthropologically Acholi nation has never had a centralized system of governance. It has a decentralized system of chiefdoms and families. Notions like ‘‘A Rwot Ki Oda’’ ( King in my own house) are commonplace to show individualism rather than collectiveness in the pursuance of common good as diametrically opposite to Buganda’s “Ebyaffe”(Ours). If this festival was not merely to bring the president, the vision would have even been stronger. The event would have been followed by Acholi Development Conference, or the cultural institution launching something like Acholi Development Foundation, Acholi Tourism Board, Acholi Bursary Scheme or something like that to rehabilitate education or launch an Acholi Investment Bank to offer soft loans in the Agricultural Sector for grains etc. Farming is Acholi’s comparative advantage as a food basket. If that is too ambitious, for us who love the bottle, Acholi can launch for us Kanyimuru Beer (Acholi Traditional Beer made of SimSim) or Auma Auma Lager or Malakwang Wine. These are more sustainable than Museveni’s sacks of money. For purposes of gaining another entry point, it is worth blessing the Acholi Cultural Festival however painful it is because we as Acholi need to talk. Mr Okidi is a lawyer, political scientist and National Youth Leader of the Democratic Party. This commentary was originally posted on his Facebook wall. It has been slightly edited. Good job, brother Okidi. Keep up the great work. I did enjoy it.